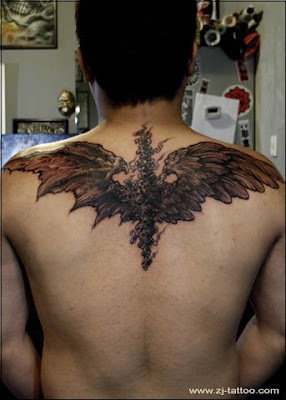 An imaginary wings tattoo - with spine. It may be many people's dream to have wings. Also check out this collection of angel tattoos.